All formal religions demand conformity to a list of rules thought up by an assembly of men in some other distant time and place. Such proscriptive moralities promote what is called ‘group-think’, in which critical analysis is frowned upon and personal opinion mistrusted. In turn, irrational thought and superstition develop. Outsiders are demonised. Orthodoxies become the accepted norm – and fundamentalism thrives. In contrast, there is a practical system of philosophy that has been quietly flourishing in the foothills of the Himalayas for millennia, which recognises that humankind is perfectly capable of productive, compassionate behaviour without needing to believe in any sort of god or hand personal responsibility to any priesthood. It also actively rejects social and ‘spiritual’ hierarchies, misogyny and homophobia. From the humane, undogmatic teachings of this little-known tantric tradition I’ve selected (in no particular order) 8 common-sense principles, which have combined to guide me over the past 20 years to choose to be happier and healthier, more peaceful, accepting and open than I might otherwise have been. Take responsibility for your thoughts, words and actions. They afford you a remarkable power to determine the quality of your life and that of those around you. Take responsibility for your choices. Choose nourishment, education, company and pleasures that are beneficial, improve both physical and mental stability, afford peace of heart and mind, and brighten and expand your consciousness. The wonder of life is not only found on easy, sunny days, but also through our shared experiences of doubt, hardship, fear, pain, illness and loss. All are inevitable, whoever and wherever we may be. Empathy connects us to one another and to ourselves – and the more connected we are, the more contented our hearts become. Explore showing benevolence to all, mindfully attending to the well-being of others without judgement or condition. There is freedom – and thereby happiness – to be found in disinterest in the trivial. Explore no longer identifying yourself through the way you look, your material wealth (or lack of it), or through social or ‘spiritual’ hierarchies of any sort. Instead, learn to live by a love that is fearless, dynamic, unfailingly humane and without condition. Not merely popping coins in a charity box or sacrificing a bit of ‘spare’ time to a good cause, but giving of yourself open heartedly and with full engagement in every interaction. The roles family, society, culture have taught you to play are not who you really are. You are not defined by your biography or by the emotional reactions you’ve learnt from your past. Therefore acknowledge and resolve the conflicts between your inner self – your conscience – and your outer life. There is no more effective route to the peace, happiness and fulfilment many of us seek. The remarkable power you will always have as a self-conscious, self-determining human being is your ability to choose how you respond to whatever life brings. So choose well and wisely – and choose happiness. 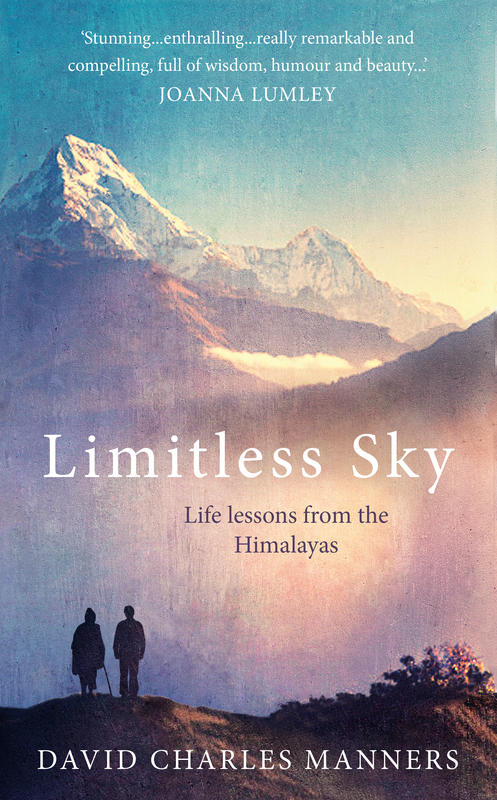 You can read more about the Tradition and its gentle humanity in Limitless Sky. This entry was posted in Uncategorized and tagged authors, books, empathy, happiness, Himalayas, homophobia, humanism, India, love, misogyny, Nepal, personal responsibility, philosophy, tantra, wisdom. Bookmark the permalink.